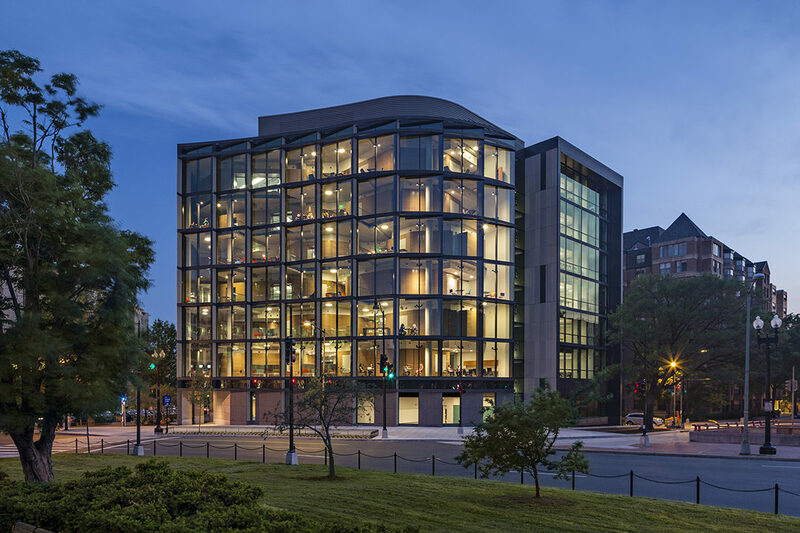 The Milken Institute School of Public Health was conceived to defy the norms associated with a mid-rise academic building in Washington DC, where development pressures, irregularly-shaped plots and stringent height restrictions often result in buildings of considerable density. Confronted with such circumstances, this design team successfully exploited numerous planning and organizational strategies to make this building a powerful vehicle for communicating both sustainable design and public health. Foremost among these is how the building deals with its unusual triangular site. The building is 140’ wide at its center (too deep for daylight penetration into the interior). D.C. zoning regulations capped the site’s allowable floor area, imposed 90% maximum site coverage and set a 90-foot maximum height restriction. 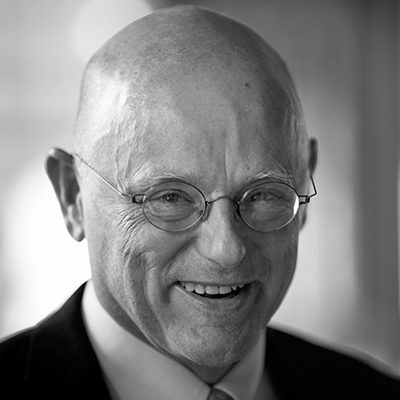 This may seem like a daunting task, but Jim Collins, Jr., the project’s Principal-in-Charge, explains how we embrace these types of challenges during his talk at the 2016 TEDx Foggy Bottom. By pushing against convention of a 6-story building with deep floor plates, our design team instead inserted a 7th floor by squeezing the floor-to-floor height to 12’, unconventionally low for a classroom building. This enabled expansive voids on each level, drawing daylight, air and views into a sky-lit atrium at the building’s center. An open stair ascends all eight levels, allowing an array of views throughout the building. In addition, the stair reduces the power consumption associated with operation of the elevators, which are screened from view, while promoting exercise, physical activity and social interaction.